Luckily, there is (of course) an undocumented solution to this problem, and at the public’s demand I will detail it below. It doesn’t solve all layout-management needs, but it goes a long way. 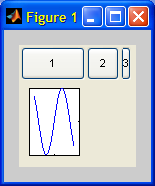 Most importantly, it uses pure Matlab – no Java knowledge whatsoever is needed. Matlab’s uicontainer family (uicontainer, uiflowcontainer and uigridcontainer) consists of container objects that enable customizable layout management of contained components. Uicontainers can contain any Matlab component that may have a uipanel handle as a Parent property. This includes uicontrols, plot axes etc., as well as other uicontainers. The UICONTAINER function is undocumented, and is not intended for direct use. 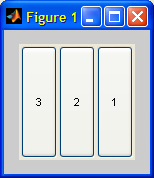 The UIPANEL function should be used instead, as it provides more functionality. uicontainer objects are not very customizable. For example, unlike uipanels, uicontainers have no titles or borders. 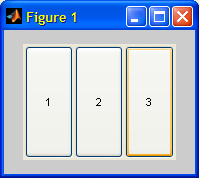 We would therefore usually prefer to use uipanels, as Mathworks suggested above. An exception to this rule is a case where we need to derive our own customized container class. An example of this is found in %matlabroot%/toolbox/matlab/uitools/@uitools/@uitab/schema.m, which derives uicontainer to create a uitab container (which will be described in a future article). Relatives of uicontainer are more useful in general: uiflowcontainers and uigridcontainers act similarly to Java’s layout managers – specifically, FlowLayout and GridLayout. I expect to see additional layout managers incarnated within Matlab uicontainers in future Matlab versions (perhaps in the R2010b pre-release that came out today – I can’t wait to see…). uiflowcontainer is a uicontainer that enables adding uicontrols to the container without specifying an exact position as would be required for uicontainer or uipanel (actually, positions may be specified, but they are simply ignored). The advantage of using uiflowcontainer is its automatic resizing and positioning of components. Notice how we simply specified the uiflowcontainer‘s handle as the control’s parent, and got all this functionality out-of-the-box! Note: uiflowcontainer normally ignores the specified limits if they would cause the component to stretch beyond the container boundaries. This happens unless the limits are identical (as in the preceding example), which informs uiflowcontainer that it has no judgment in the component’s dimensions. In more complex cases, consider coding your own customized class deriving from uiflowcontainer. An example for such a customization can be seen in %matlabroot%/toolbox/matlab/uitools/@uitools/@uitabgroup/schema.m, which derives uiflowcontainer to create a uitabgroup container. 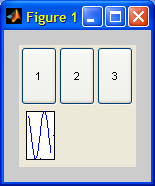 Brad Phelan of XTargets has created Matlab equivalents of Java’s BorderLayout and SpringLayout. 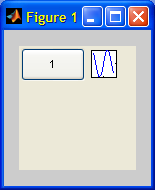 The advantage of using Brad’s layout managers is that they appear to have full Matlab interoperability, including the ability to add Matlab components, unlike Java’s layout managers. A File Exchange contributor named Jason has added a GridBagLayout implementation, mimicking Java’s well-known GridBagLayout. Additional and more flexible layout managers are available in Java (one of my favorites is JGoodies Forms, which is pre-bundled with Matlab). Just remember the limitation that no Matlab component (such as GUI controls or plot axes) can be added to Java containers. Therefore, feel free to use these Java containers as long as their contained GUI is limited to Java components (JButton, JComboBox etc.). Today’s article about uicontainer and its relatives was the first of several posts that will describe undocumented functions that reside in the %matlabroot%/toolbox/matlab/uitools folder. Feel free to look within this folder for other interesting undocumented functions. Most of these functions are semi-documented, meaning that they have a usable help-section hidden within the m-file (type “edit uicontainer.m” for example). Many have existed more-or-less unchanged for many releases. Note that there is no guarantee that they will remain in future releases. When using unsupported functionality, always code defensively. Thank you Yair for this blog and this post. I really appreciate the insight. You don’t mention the GUI Layout Toolbox that appeared on the File Exchange last month. It seems to share ancestors with Brad Phelan’s layout managers. Brad, who once worked for The Mathworks, is acknowledged. 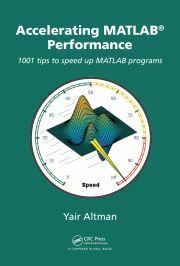 I am a beginner in Matlab. I have saved data from the workspace into a mat file. It consists of vectors of sizes 82×3 , 32×1 … Now I intend to print it out in the form of a table. Should I convert it to excel? How should I create tables from workspace data(in the form of mat files)? Awaiting your reply. 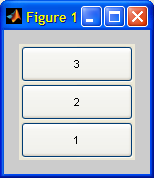 @Chaitanya – you can use the uitable function to display and print data in table format in Matlab. uitable was undocumented (but available) until R2008a. Yair, thank you for your blog. It’s very useful! There is no 'HeightLimits ' property in the 'uicontrol' class. Never mind, I just noticed that the container needed to be a uiflowcontainer. uigridcontainer does not enable the ‘HeightLimits‘ hidden property. Which is what I’m doing, but without success with R2007b. From your quoted error message above, I see that you called the property ‘HeightLimits ‘ (with an extra space) – perhaps this is the problem? 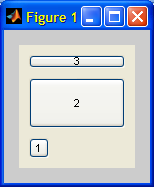 My error was to set the HeightLimits property at uicontrol creation, instead of using a separate set(‘HeightLimits’). A little heads-up for using the uiflowcontainer object. When the container is copied using copyobj, the WidthLimits and HeightLimits properties of its children are not copied. One issue I’m having though is that patch objects (as e.g. 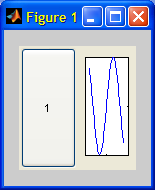 used by a bar-plot) seem to have problems, when drawn in an axes which has a flow/gridcontainer as parent. After zooming the axis, the patch-graphics which is not in the zoomed axis-range any more keeps being drawn outside the axis-area. What I need is something like a uiflowpanel function; i.e., having the uiflowcontainer with the uipanel‘s frame and title — all in one handle-graphics object. To be more precise, I want an object, such that if I set(...) a property or use inspect(...) it, I would see all the properties of the uipanel and the uiflowcontainer together (same request extends naturally for uigridcontainer). but I wish for a more robust solution. I thought of combining two UDD classes (via inheritance or any other method), but I am not quite sure how to do it. Can you help? @Yaroslav – take a look at my uicomponent utility and how it adds properties to existing UDD handles via the schema.prop function. Note that unfortunately this feature is no longer available in the upcoming HG2. For more information on UDD inheritance, read this. The problem with adding properties to existing UDD handles, is that one must redefine all the new properties; I want to merge two UDD classes (double inheritance, etc.). Is it possible? I am not aware of the ability to inherit multiple UDD superclasses, but this is not the same as saying that it’s not possible. Perhaps Donn Shull knows how to do it. I’d start looking in Donn’s article on UDD inheritance. In uicomponent I wanted to merge the properties of the Java object and the Matlab container. So I took one of them and simply added to it (dynamically, using schema.prop) the properties of the other. Whenever I added such a dynamic property, I also overrode the new property’s set method and added handle.listeners, so that the original and the new properties would be linked, such that modifying any of them in run-time would automatically update the other. All this is done in a loop over the properties, so it is quite efficient and generic. Look at the source code of uicomponent for details – it’s well documented. Is there a way to specify a minimum height or width of uigridcontainer? Just remember the limitation that no Matlab component (such as GUI controls or plot axes) can be added to Java containers. You cannot add axes, but you can manage a mixture of java components and uicontrols using swing layout mangers. You just need to add the corresponding java handles of uicontrol objects to your java container. I don’t really see much point using uiflowcontainer and alike. 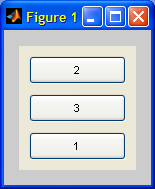 GUI Layout toolbox is perfect for most of the tasks, and when you need a fine-grained control of uicontrol, layout you can use the technique above (mixing them with java components if required). @nirvana – this is correct, but what you are essentially doing is adding a Java component to a Java container – you are not adding the Matlab uicontrol. In this respect, using the underlying Java peer (via findjobj) is bypassing this limitation. 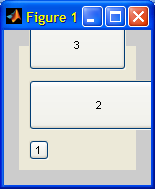 Unfortunately, axes do not have similar Java peers that can be manipulated in a similar manner – they do have a Java canvas that can be accessed, but it extends over the entire figure’s ContentPane (in theory you could try to resize that canvas and add it to the JContainer, but odd things might result…). True, we add java peers and not uicontrol handles themselves, but at the end of the day it does allow us to effectively manage the layout of arbitrary uicontrols (and java components) using flexible Java layout managers, which, I think, not a lot of people realize.